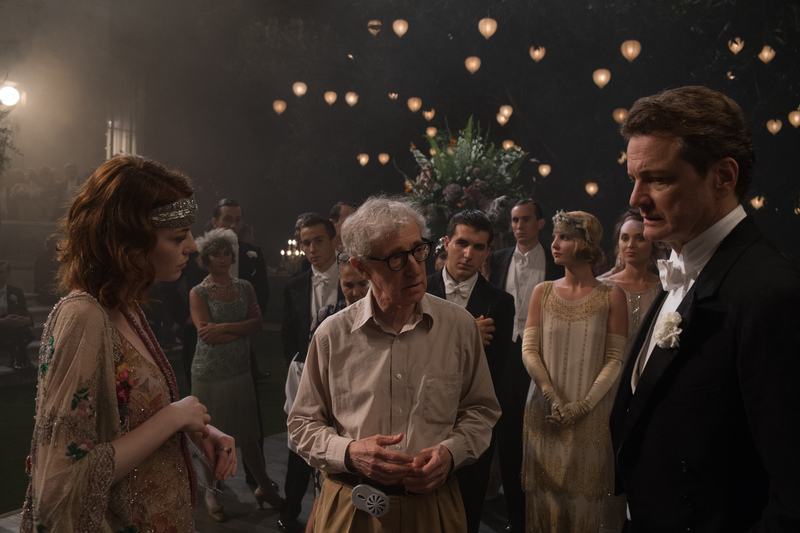 Emma Stone as Sophie and Colin Firth as Stanley in Woody Allen’s MAGIC IN THE MOONLIGHT. ©Gravier Productrions. CR: Jack English. 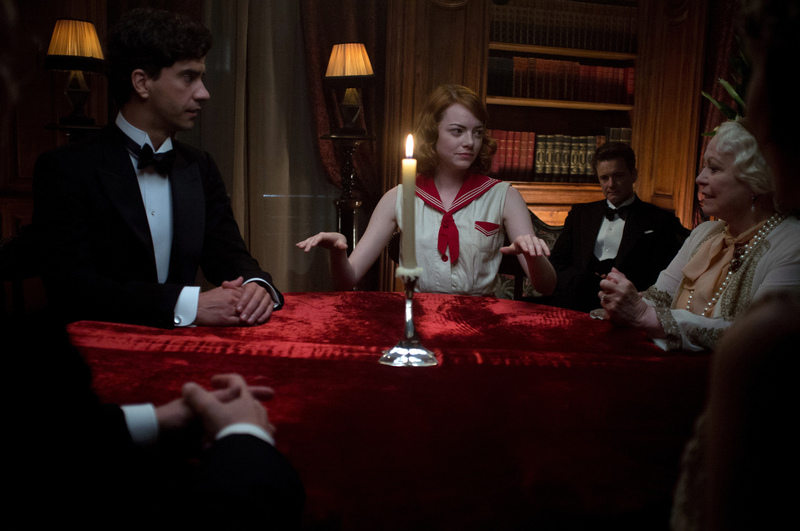 (l-r) Hamish Linklater as Brice, Emma Stone as Sophie, Colin Firth as Stanley and Jacki Weaver as Grace in Woody Allen’s MAGIC IN THE MOONLIGHT. Left to right: Emma Stone, Director Woody Allen and Colin Firth on the set of MAGIC IN THE MOONLIGHT. ©Gravier Productions. CR: Jack English.